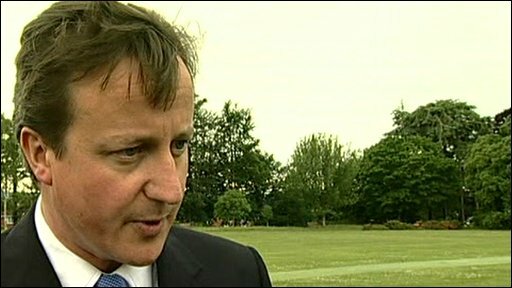 Conservative leader David Cameron has said his party's performance in the local elections shows it can win in "every part of the country". The Tories took councils from Labour and the Lib Dems including Derbyshire, run by Labour since 1981. The Lib Dems won control in Bristol while Labour lost control of all of its four councils. 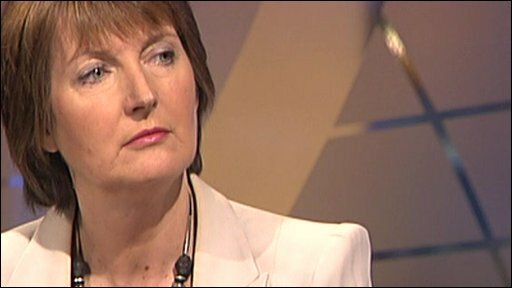 Labour deputy Harriet Harman admitted the results were "disappointing" but said the party would learn from them. The Conservatives took Staffordshire, Lancashire, Derbyshire and Nottinghamshire from Labour - which had run all of them for more than 25 years - as well as Devon and Somerset from the Lib Dems. They also took Warwickshire from no overall control and took power in the new Central Bedfordshire and Shropshire unitary authorities. With all the results in from the 34 councils which held elections, the Tories gained 233 councillors while Labour lost 273 seats and the Lib Dems four - although Sussex's results are provisional pending a recount in one ward. According to the BBC's projections, the Conservatives garnered 38% of the national vote with Labour falling to a historic low of 23%. The Lib Dems polled an estimated 28% of the vote, with other parties on 11%. It suggests the Tories and Lib Dems are doing as well as they did in 2004 while Labour is three points down and 1% lower than last year's record low projection. The Conservatives' projected vote is down on the 44% they got last year and there was some evidence that in areas where Tory MPs had been embroiled in the expenses scandal, the Tory vote dropped. But Mr Cameron told the BBC the number of minor parties and independents was bound to have an effect on its vote share but did not accept the party had not progressed since the last elections. "The last set of county council elections four years ago - compared with those we have gained seats up and down the country," he said. "We have won almost every council we could possibly have won ... We have won councils we really didn't think we were going to win ... so I don't accept that these aren't extremely good results for the Conservative Party." He said the results showed people wanted a "strong, positive and united alternative" to the government and were seeing the Conservatives as that alternative. "Across the country what's remarkable about these figures and what shines out is it's the Conservative Party winning in every part of the country," he said. He said the government was in "near collapse" and people wanted a "fresh start". The Lib Dems took Bristol but lost Somerset and Devon to the Tories. However according to the BBC's projected national vote share, they are well ahead of Labour - on 28% compared to Labour's 23%. Labour lost control of Staffordshire, Derbyshire, Lancashire and Nottinghamshire on what proved a poor day for them. Labour's deputy leader, Harriet Harman, told reporters: "I think we're disappointed about the election results, but we'll learn lessons about it and I think it has a lot to do with the concern people have got about expenses." She was strongly criticised by former deputy prime minister John Prescott, who accused her and other ministers of running a "non campaign" and of being "resigned to defeat". But that was dismissed by local government minister John Healey told the BBC: "He's wrong, we have been out campaigning for the last few weeks as you would expect." He said campaigns in local areas had been "very strong" but had been "overwhelmed" by the expenses row and voters were using them as a referendum on personalities at Westminster. New Culture Secretary, Ben Bradshaw, told the BBC he was "very sorry" for councillors who had paid the price for the MP expenses revelations. In Bristol, the Lib Dems and Tories gained four seats each, all at the expense of Labour. The Lib Dems have 36 councillors, giving them an overall majority in the city. Party leader Nick Clegg hailed "spectacular gains" in Bristol said this was the beginning of a "complete transformation of city politics" with his party taking urban seats off Labour. But he admitted it looked like the Lib Dems were facing a strong challenge from the Tories in the rural south west. 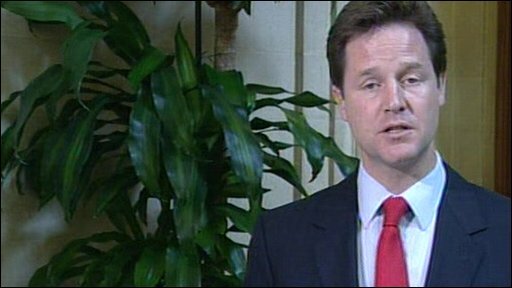 "It's a bit of a patchwork - a bit of a setback in the south west but very spectacular gains elsewhere," Mr Clegg said. His colleague Chris Huhne added: "What I think is coming out of the projected national vote share is that both Labour and the Conservatives have been hit since last year and we are indeed making gains." Meanwhile, the Green Party ended up with a total 16 seats, gaining five in Norfolk, one in Lancashire and securing its first councillors on Cambridgeshire, Devon, Suffolk and Gloucestershire councils. UKIP secured six seats, including three in Staffordshire. The British National Party won three seats in Lancashire, Leicestershire and Hertfordshire - its first county council seats in England. The English Democrats, who campaign for an English Parliament, have also had a win in Doncaster, where their candidate Peter Davies was elected mayor. The Tory and Labour candidates were knocked out in the first round. In Hartlepool, independent Stuart Drummond was re-elected for a third term as mayor. The former Hartlepool United mascot - known as H'Angus the Monkey - first won office in 2002. Turnout appears to have been mixed with most areas varying between 30% to 45% - generally lower than the last time these councils were fought on general election day in 2005.